Suspicious about the fact that your indoor cat seems to have symptoms that align with parasites you thought only outdoor cats could get? Wondering whether it’s possible for an indoor cat to get rabies, rabbit fever, and other diseases – some of which are preventable with prescription vaccines from a vet? 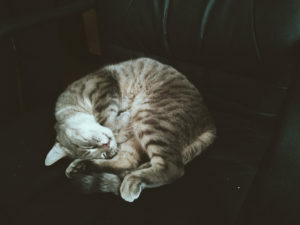 While it absolutely is a lot less likely for a house cat to end up with parasites like ear mites, fleas, ticks, or worms like ringworm, communicable cat diseases like feline infectious peritonitis, feline immunodeficiency virus, feline leukemia, and feline herpes, as well as other unpleasant diseases like rabies, mange, leptospirosis, toxoplasmosis, rat bite fever, tularemia, and even variations of the plague, it unfortunately is possible. Don’t be too alarmed: while it’s possible, it isn’t very likely to happen. That being said, it’s important to know that it is possible, what you can do to prevent the likelihood of it happening, and exactly how it can take place on the off chance it happens to your house cat. We’ll get into exactly how indoor only cats can get parasites and unlikely-for-them-to-catch diseases in the next section, but first, a word to the wise on prevention. Just because you have an indoor-only cat, does not mean you should pass up keeping your cat up to date on vaccines and regular vet visits. 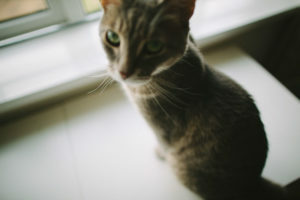 While you may not feel it’s possible for your house cat to get sick in similar ways to an outdoor cat, life throws curve balls sometimes, and ever-so-unlikely things do happen every so often. I’m hoping that by reading through the next section, you’ll realize how very difficult, if not impossible, it would be to completely prevent your indoor cat from getting parasites and other improbable diseases. 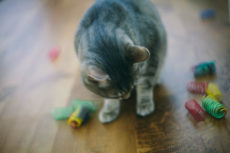 Since it’s impossible for an indoor cat to be fully inoculated against risk, the best course of action you can take for your cat is to assume things may go awry in ways you didn’t expect. How? Obviously – start with keeping up to date on vaccines and having those regular vet visits. What else? Do regular checks on your cat. Inspect feces always – as gross as it may feel. Cat scratching a little more than usual? Do spot checks around the regularly-scratched area to see if there are any sign of ticks, mites, fleas, or other parasites. Cat begin to vomit or have any other symptoms? Don’t delay, call up your vet and ask if he or she should come in for a check up immediately. For fleas and ticks, ask about preventative prescription treatments, or try out feline flea and tick collars (be sure to get ones especially for cats, as I’ll get into later), especially if your indoor cat has highly increased risk in a few of the ways discussed in the next section. And finally, do your best to keep your cat’s environment as clean and tidy as possible – keeping potential sources for parasites regularly washed and/or hidden away as well as you can. While it may not be possible to prevent all risk this way, it is possible to lessen risk with especial care. 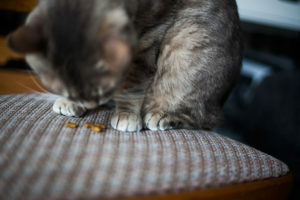 While it’s mostly harmless to put your cat into a harness and take him or her out for walks or (more frequently) flops on the ground in your garden, it is possible, however unlikely, for your cat to catch a parasite or disease while out. How? Suppose there’s a neighbourhood cat – an outdoor one – who frequents your garden and sometimes leaves “presents” for you in the flower bushes. 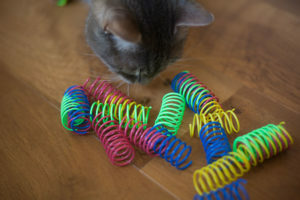 Now imagine that cat picks up worms, and your house cat wanders over to the same bushes to “inspect” the interesting smell: there’s a chance your cat could end up with worms as well. This is absolutely not to say that it’s likely taking your cat out on a leash will result in him or her having parasites or diseases. 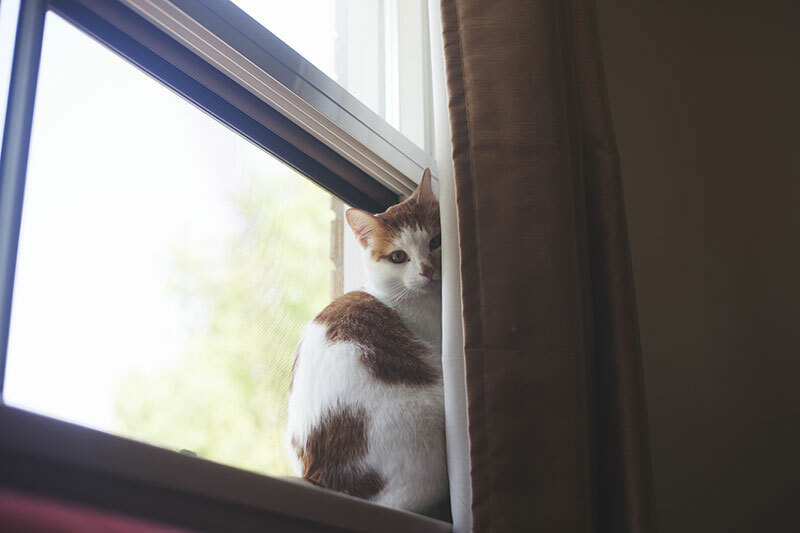 It definitely is not likely at all, and I would be sure to stress that you should never let the potential discourage you from letting your cat have supervised backyard visits. However, it is possible, so be aware, make sure your house cat is up to date on important vaccines, and if you suspect a problem, be sure to do spot checks of your kitty regularly. 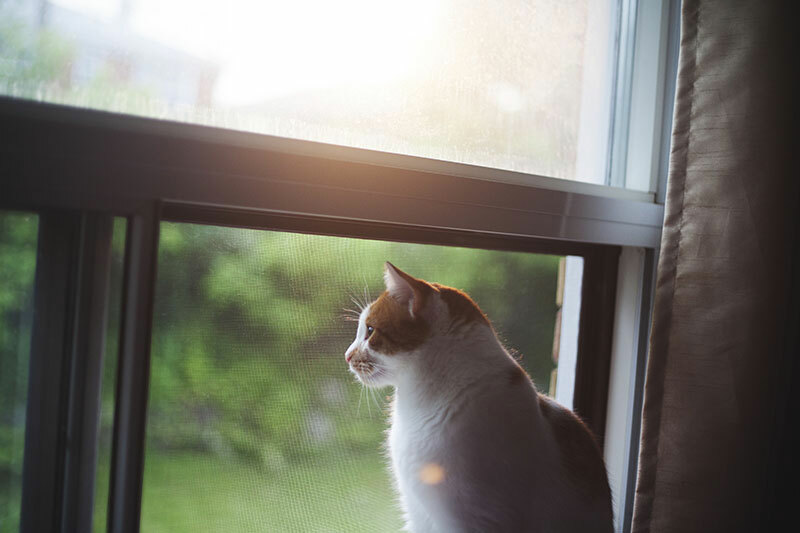 If you frequent the outdoors with your indoor cat in this way, or if you’ve run into problems in the past, you can also keep your cat on preventative prescription tick and flea treatments or use flea and tick collars as well. 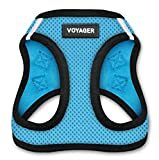 While you may not put your cat in a harness and take him or her out out on walks in your front yard or neighborhood, chances are if you’ve got a dog at home, he or she goes out for walks with you quite frequently. 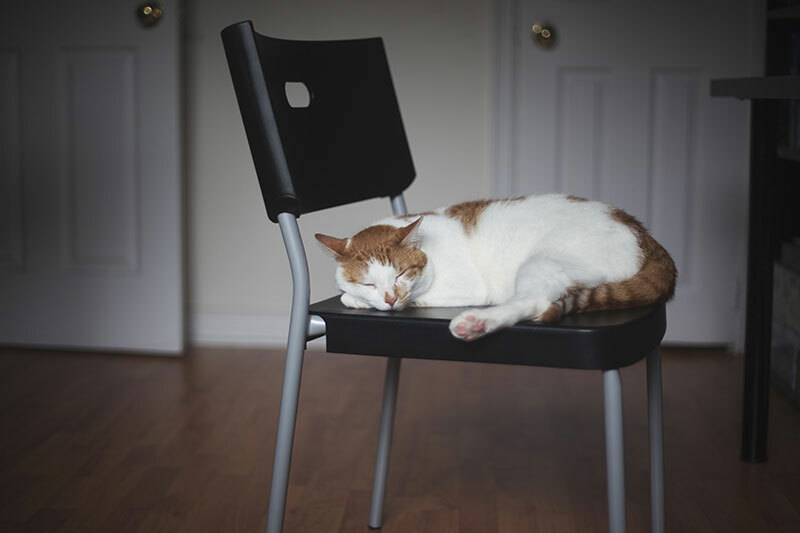 When a dog gets ticks, fleas, mites, ringworm or other parasites, these can quite easily make their way onto indoor-only cats as the pets interact with one another, or with your furniture at different periods of time in your home. To help prevent fleas and ticks from hitching a ride to your dog, you can use dedicated flea and tick collars on your canine friend similar to those made for cats. 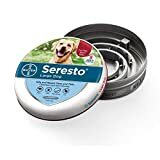 Just be sure to use cat flea collars for cats and dog flea collars for dogs, as to my knowledge, there are actually differences in the chemicals and strengths of those chemicals used for cats vs dogs. Cats have a lower tolerance than dogs for pyrethroids (a common ingredient used in flea and tick prevention products), for example. Thus, cats can definitely have health issues if they’re given a flea collars and treatments made specifically for dogs. Let your rabbit out into the garden in a supervised play pen? It’s also possible for him or her to pick something up while out, then transfer it to a house cat in your home. No matter the animal, the point is the same: any animal that picks something up outside the house can typically transfer the issue onto another pet, who may never have left home recently. This point is along the same lines as the last one. If one of your other pets can give your cats parasites and diseases, so can other people’s pets – and that means your cat can technically pick something up while having a visit at the vet. Yes, it’s incredibly uncommon, and absolutely you should not let this prevent you from visiting a vet, but if you’re scratching your head wondering what on earth gave your cat fleas when he or she recently has not been outdoors and you’ve no other pets of your own, this may be the answer. 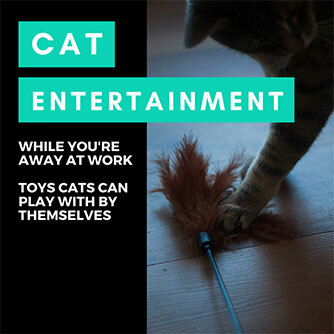 Take your cat to have adorable play dates with other cats? If the other cat is in any way sick or has parasites, be sure to check your own cat for the very same diseases or parasites to be sure it has not spread to your cat. Mange/feline scabies and ear mites can spread this way, especially if the cat you’re visiting has regular access to the outdoors. 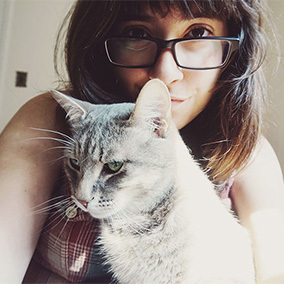 Again, I wouldn’t let this prevent you from making visits with your cat, but it’s good to be aware of the fact that issues can crop up, as then you can know what to look for and do in case the unlikely happens. 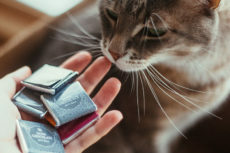 If you have a pet sitter who takes care of pets besides yours, even if the sitter has no pets of her own, it is possible for your cat to catch something one of the other pets had, even something that may not have been diagnosed yet. Again, just be wary of this fact, and don’t let it discourage you from using a pet sitter who sits other cats. If your indoor cat does, however, get sick, be sure to let your pet sitter know so he or she can do a thorough clean of his or her home, and inform the other pet parents he or she has helped out. Now, if you think keeping your house cats from meeting and greeting any other animal is enough to prevent them from being exposed to parasites that can be picked up outdoors, you’d be wrong, because your cat can still have exposure to these through you. Your cat may not go outside with you, but you certainly do, at least every once in a while. And while your out, you may happen to pick something up by stepping on it with your shoe, and accidentally bring it home. With regards to shoes and shoe laces – I actually have personal experience with an unexpected issue cropping up myself. A few years back, my brother from Pets Overload found some oddly shaped semi-transparent, semi-white looking critters in his indoor-only cat, Beau’s, stool. A hard look at a picture and some Googling later, I figured the diagnosis pretty much had to be roundworm. John took the picture and a stool sample to his vet, who confirmed – it couldn’t be mistaken for anything else. Beau got his roundworm medication and so did all of us humans (just to be on the safe side). But how did such an odd thing happen? Beau has pica, and really used to go ham chewing and eating many different inedible objects around the house. About a week before the roundworm incident, he’d chewed and swallowed a large chunk of shoe laces that were left by a visitor at the front door. The visitor likely stepped in something like dog poo on her way over, and by eating those laces, the roundworm transferred their way into Beau’s system. The easiest way to make sure this type of thing doesn’t happen to you? Keep your shoes out of reach of cats by tucking them away in a closed closet or shoe bench immediately after coming home. 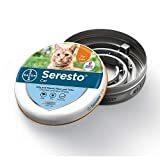 Not sure if this is the most likely way for indoor cats to get worms like roundworm and ringworm, but it sure would seem one of the most likely ways to me. It sounds ridiculous, but it’s actually possible for fleas to jump onto a pant leg, or even the human body itself, hitch a ride into your home, and then make it’s way onto one of your pets to breed. This means that each and every time you, someone you live with, or a visitor walks through your front door, there’s an ever so slight possibility your house cat could end up with fleas. Not a fun thing to imagine, and definitely not easy to prevent. But again, it’s not common. If your indoor cat starts scratching pretty aggressively and frequently, however, do yourself and your kitty a favour – have a flea inspection! 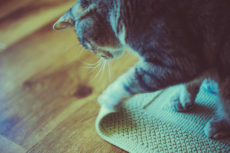 Again – it may sound ridiculous, but since fleas can jump quite high, and are obviously very tiny, even a crack under a door or an open window could be enough to let in one of these annoying pests. Not common is the recurring theme – but this is one of those points that should make it clear to you, you absolutely cannot completely inoculate a house cat from the possibility of fleas and parasites. It’s just not feasible. So while it’ll likely feel surprising, if you suspect your indoor cat does have fleas or some other parasite, go with your gut because it very well may be. Cats are excellent escape artists. While some house cats may actively try to get out, and once out stray very far and be lost for weeks or even months before they find their way home, other indoor cats may just see an open door, curiously go out for a moment, get distracted by the tasty grass, then become frightened by all the overwhelming sights and sounds, hiding away in a nearby bush until an hour or two passes and you find him or her and bring your poor scared cat home. While it’s a lot less likely an indoor cat will get communicable cat diseases (diseases cats can pass on to other cats) like feline leukemia, as well as other frightening diseases like rabies if he or she is always inside, don’t forget that your indoor cat could escape, even if just for a short time, and thus be exposed to the same frightening diseases outdoor cats frequently are exposed to. All this to say – it’s always a good idea to keep your cat up to date on vaccines, and yes that includes rabies shots, even if your cat is an indoor-only cat. Rodents can carry a variety of unpleasant diseases. 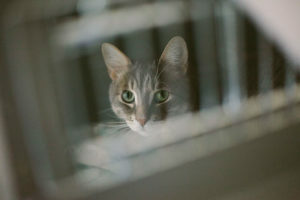 Some they can pass on to an indoor cat include: leptospirosis, toxoplasmosis, rat bite fever, rabbit fever, plague. Is it really likely your indoor cat will pick up a disease from a rat or mouse that’s made it’s way into your home? No, it isn’t. But it is possible, and the risk increases the more of a rodent problem you have on your hands. Be aware of this, and do your best to prevent rats and mice from getting into your home. 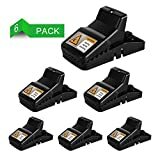 Though if you’re going to kill or trap them, be sure to grab child and pet-safe mouse traps, rather than the traditional kinds that your cat can be hurt in, and opt to use cheese as bait rather than poison (since you never know if a mouse will escape, then finding it dead on the floor, your house cat may be tempted to take a bite… Not an ideal situation in the least. 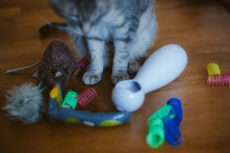 If you receive second hand items from someone whose pets had parasites, whether or not they knew it, your house cat interacting with that second hand item could spread the parasite to him or her. The easiest way to deal with this potential problem? Wash second hand items whenever you get them, just to be on the safe side. It’s an excellent rule of thumb anyway, especially since bed bugs and other nightmarish pests can spread their way into your life through second-hand items as well. 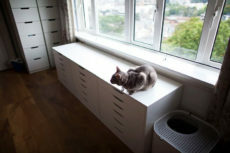 Moving to a new house with your cat can also bring you the types of problems a second hand item in your home can. Worried about there being parasites like fleas into your new home? 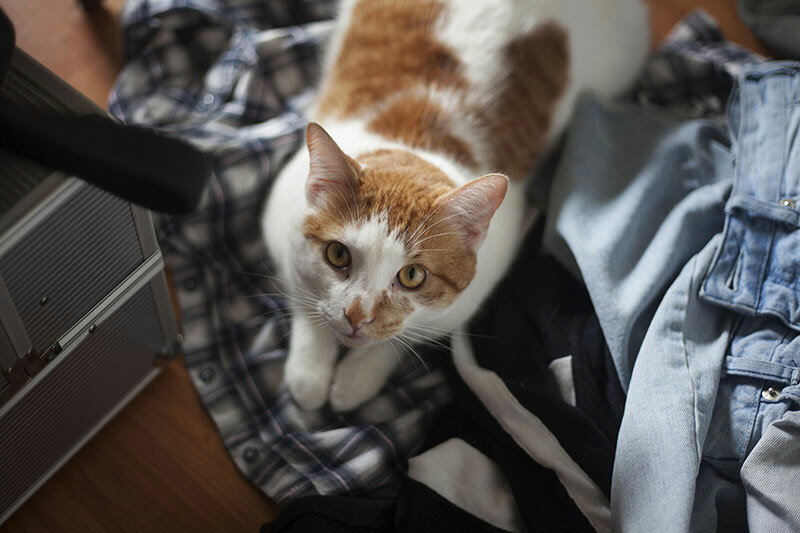 Do a check and thorough clean before moving your cats to the new house. Do you have indoor cats of your own? Did you think your cats might be able to get parasites or uncommon diseases that are ones only outdoor cats typically get? If you thought of a few of the ways listed above, which did you think of? Did you learn any new ways? Have your indoor-only cats ever gotten parasites or uncommon diseases? What do you think was the culprit? Do your indoor cats have increased risk with regards to any of the ways listed above? Are there any I’ve forgotten that you can think of? Love to hear your thoughts and about your personal and second-hand experiences in the comments down below! We inherited an indoor cat from my aunt when she recently passed away. My aunt was hardly mobile for much of 2017 and for the spring and summer of 2018. She had helpers coming in every day since the fall of 2017 until she passed and so theoretically, her cat Tia could have been exposed to something being brought in by the aides. Tia is a middle-aged cat at least, so it could be that she is just getting old and her skin more sensitive… at any rate she had a fair to large amount of small mats for a short-haired cat. she was neglected Due to the situation, so maybe she was not up to grooming herself as well as she might have otherwise? What has concerned me is that some of the mats have a bump underneath them often with a small beige mark at the apex. I have managed to remove the majority of the mats & Tia enjoys this grooming help even when it has gotten pretty intense. in some cases especially where there is a bump, I have later found that there has been some oozing from the area subsequent to my clearing the mat. Does this sound like the mats may have been there long enough to block Tia’s pores and to become inflamed and more of a pimple? My plan is to keep the bumps clean and to watch them closely until they heal. If they get more irritated or don’t heal, we will get her to a vet. I’m not quite sure what those bumps are (they could be a number of things I think), but it sounds to me like your plan of action will work. I would personally take her to the vet out of paranoia that something is going on that the vet might be able to fix (maybe she does have parasites and they could help, or maybe she has a bacterial infection and antibiotics could? ), but so long as she doesn’t appear to be in any pain (licking, scratching, and over-grooming are typical signs of that so based on what you said, it sounds like she’s not in pain), seeing if you can resolve a lot of the problem by getting rid of her mats and giving her a stable, peaceful environment seems like it should do the trick. I definitely think the problem could quite honestly have been just the stress of the commotion and neglect that made her stop grooming, as you suggested. I’m sure the fact that some mats formed made her less happy to clean herself, and that caused more and more mats. When we adopted Chuck and Angel as kittens, they were covered in fleas and had worms. We got all of that cleared up, then they got fleas a 2nd time. We never really figured out how that happened, but maybe we didn’t clean up enough after the first round. Thankfully, they’ve been free of all things since then, and it’s been over 13 years now. Manny and Chili Bruce were treated before we adopted them. The PO’M and Sweetie are outside only cats, so I keep an eye on their situation, but they’ve both been doing well. I’m told that good food will help prevent some insect infestations, and I do put diatomaceous earth in their insulated shelter to help prevent bugs. Poor things. Sounds to me like maybe there was one silly little flea left that went wild and re-started the whole process. Congrats on 13 years without parasites! I guess it goes to show you how infrequent it typically is. Diatomaceous earth deserves a post of it’s own – such an absolutely amazing pet friendly insect and parasite destroyer! Best stuff ever! Great post. My indoor cats have had some of these. Thanks! Thus far I’ve had the luck of avoiding most problems, but we’ll have to see if that luck continues into the future!